MOSCOW, August 31. /TASS/. Russian investigators have no more questions concerning the causes of the Polish presidential plane crash near the city of Smolensk, Russian Investigative Committee Spokesperson Svetlana Petrenko told reporters. "I would like to point out that Russian investigators have no more questions concerning the causes of the crash," she said. "A combination of factors led to the catastrophe. The aircraft’s captain failed to divert to an alternate airport given the Smolensk airport’s weather conditions," she added. Petrenko also said that crew members had taken wrong actions since they could not detect the airport’s landmark due to low visibility and also failed to take the necessary steps after the terrain awareness and warning system had gone off. According to Petrenko, no evidence has been found to prove that an explosion occurred onboard. "All the possible causes were thoroughly investigated, including a possible explosion, but no evidence was found," she said. Experts from the Interstate Aviation Committee came to the same conclusions. "It was an international investigation from the very start, since Russian investigators have maintained contacts with Polish investigative authorities in accordance with the European Convention on Mutual Assistance in Criminal Matters and a bilateral agreement," Petrenko said, adding that Polish investigators had visited Russia 11 times to examine physical evidence. 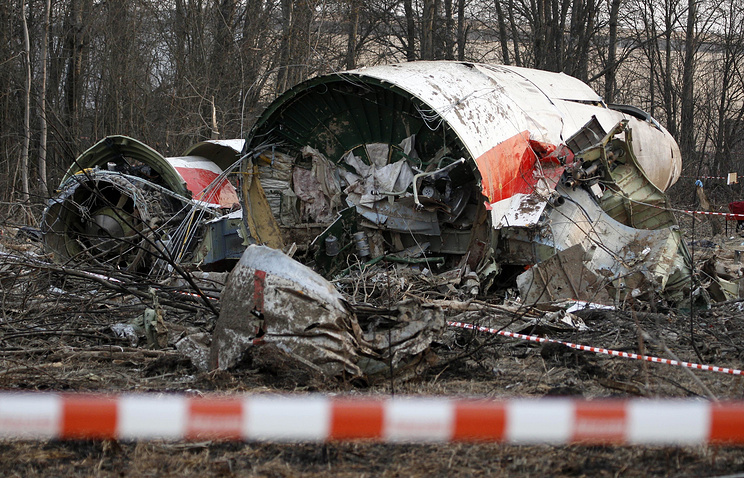 A Tu-154M airliner carrying a top Polish delegation crashed near the city of Smolensk in west Russia on April 10, 2010, killing all 96 people on board, including Polish President Lech Kaszynski and many other senior military and political figures. The plane’s pilots made a decision to land despite poor visibility and the absence of a visual contact with the ground. The plane crashed just several meters away from the runway. A Polish government commission for investigation of aviation accidents found that the crash had been caused by the plane’s descending below the minimum altitude at an excessive speed in the weather conditions that allowed no visual contact with the ground, as well as the crew’s failure to timely execute a go-around maneuver. However, Poland’s Law and Justice party led by Jaroslaw Kaczynski, the twin brother of the late president, did not agree with the commission’s conclusions. After winning the 2015 parliamentary elections, its members set up a new sub-commission on investigating air accidents to review the commission’s work. In April 2017, the sub-commission claimed that the crash could have been caused by an explosion on board. However, there are no expert studies or research to prove this allegation, as Polish prosecutors have been repeatedly saying.